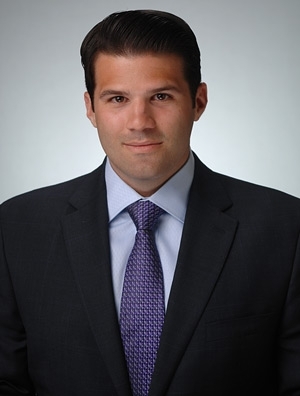 Justin DeAngelis is a patent attorney in the firm's Intellectual Property Practice Group. With a mechanical engineering degree, clients find his technical training to be a strong compliment to his legal knowledge. In his practice, Justin assists clients with their domestic and international patent portfolios with regard to patent preparation and prosecution, freedom to operate analyses, and infringement analyses for design and utility patents. Formerly a Patent Agent, his knowledge of the process for asserting patent rights allows him to guide clients to optimal solutions which align with and advance their business objectives. During law school, Justin was a member of the Intellectual Property Law Society, a participant in the Giles Rich IP Moot Court Competition, and recipient of a Certificate in Intellectual Property. He served as Submissions Editor for the Journal of Intellectual Property, a judicial extern for a U.S. District Court Judge in the Northern District of Illinois, and a legislative intern for a U.S. Congressman. Justin is a member of the firm’s Associate Policy Committee.